A (very) small-time gaming blog from the Serpent of Cyberspace. Here you'll find my opinions about games past, present, and prospective as well as personal reviews.. Yes, yes, I know I just did a preview on this game, but Hammerfall just released the full version today. 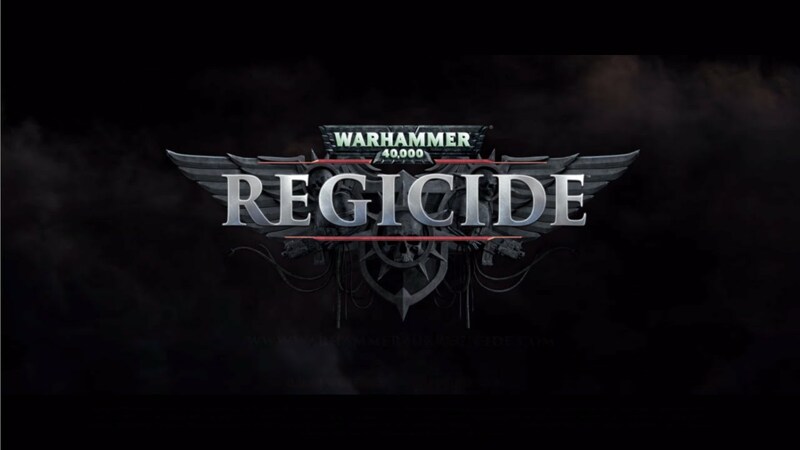 That’s right, Warhammer 40,000: Regicide officially left Early Access on Steam and went to launch, releasing more companies and adding the rest of the Regicide campaign. As I stated before, the game has the classic chess mode with Warhammer 40k infantry units as the ranking chess pieces (see the previous post on those), and then it has a hybrid Regicide mode. I mean, the game is insanely fun in Regicide, if not also utterly frustrating. To me, nothing will beat the roll of dice, and that includes RNG algorithms, which is what the hit chance is used with in this mode. I found myself questioning time and again how my Space Marines have a 64% chance to hit and always misses on the roll, while the Orks have at most a 58% chance and always hits. On top of that, some units can attack more than once on the Ork side, which I found pretty damned unfair, especially when I’m playing through the campaign and all of my units can only attack once! Now, each mission you complete give you experience toward your Regicide account (you need one to play the game, but it does give you the option of signing up when you first launch the application) and to your chess units. Every mission also has a primary objective (the win condition) and a secondary objective (optional but gives you bonus XP, therefore I always go for those) but the secondary objective becomes nigh impossible to achieve unless you have insanely good luck. Starting from around the end of the first act, the secondary objectives start becoming a hindrance based almost entirely on luck rather than actual tactical capability, especially when the secondary objective requires you to not lose a single unit in the whole battle. Thus, by playing on your caution, the AI wastes no time to focus on one of your units to ensure that you don’t get Objective Two finished. The more times I started over, the more frustrated I got with the RNG system. I kept questioning how it’s possible for my Marines to keep on missing while the Orks keep hitting on a far less hit chance. Answer: complete, blind luck. There are some positives to the game. As in my previous post, the blending of tabletop game with chess is a fresh idea and using the sci-fi Warhammer universe is the perfect fit for it. The customizability of your player abilities is also a plus, allowing you to adapt to different play types (whether you’re playing Space Marines versus Orks or vice-versa). Before facing off against an online opponent, you can head to the Armory page to set your abilities how you see fit, but some abilities are locked until you reach a certain level on your Regicide account. There’s some incentive to play the game more and more. However, the game’s balance seem to lean a little in favor of the Orks, as far as I can tell as I have yet to play with their units in head-to-head mode (I want to finish the campaign first, but I will admit, I rage-quit from how cheap the RNG was when it came to landing shots; I will finish the campaign soon). I hope with future patches that the Orks are more brought into line with the RNG system since the Orks deal more damage anyway (despite the Space Marines having arguably better equipment). Until then, slither to this game and play the Dickens out of it, but with a bit of caution.